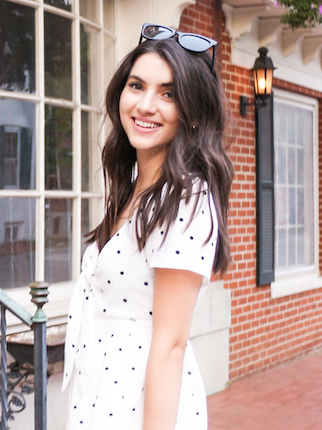 If you remember from one of my recent blog posts, I talked about how I’m writing the blog for a local company here in Richmond. I’m so excited to be a part of their team and to share tons of future content with you guys! I post new content on their site every Tuesday and Thursday so if you’re interested in reading it, you can check it out here! The owner of the boutique and I got together to photograph some new products for their website and social media sites last week. The pictures are too fun not to share with you so I’m posting a few today from one of the looks that we shot! 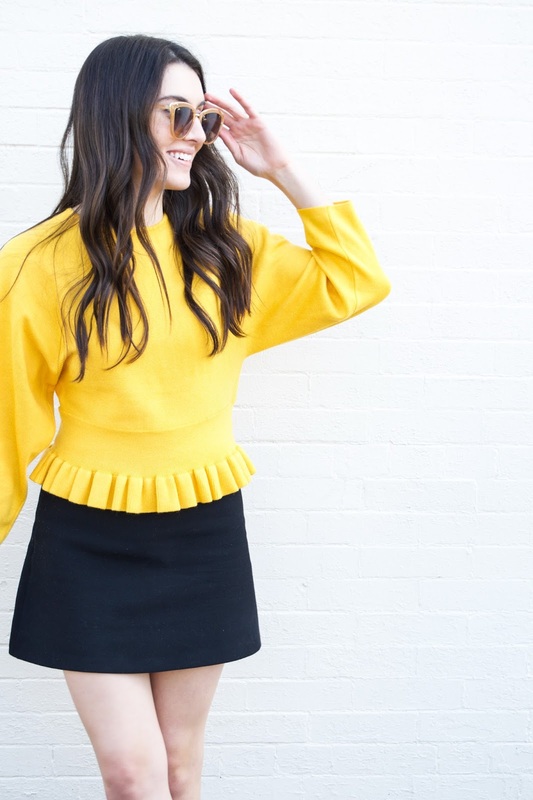 This gorgeous marigold top is one of my favorites from Mod&Soul's new arrivals! 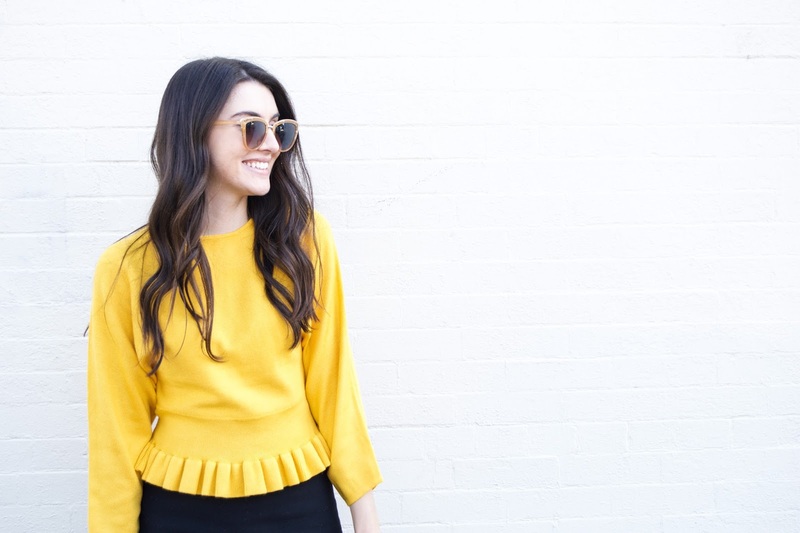 I tend to avoid yellow at all costs but something about this mustard-y shade just drew me in! What do you guys think about this color? Would you wear it for Fall? Such a cute sweater! Congrats on your new position! Thank you! I'm excited to be part of the team! love that color on you! I feel like I look washed out with yellow because I have blonde hair, but this bright of a top might work! Thank you! I was unsure about the color at first but was pleasantly surprised after trying the top on! I suggest just playing around with different colors, shapes, and styles - you never know unless you try it on! 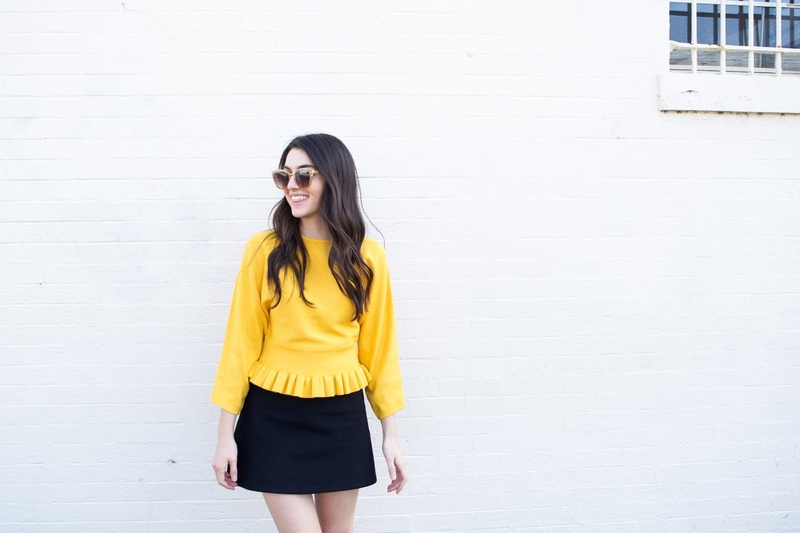 You should definitely stop avoiding yellow at all costs - it's a great color on you! That sweater is too cute! Thank you! I'm definitely trying to incorporate it into my wardrobe more! Thank you!! I'm obsessed with it! I tend to wear brighter colors too so maybe that's why I was drawn to it! The look is gorgeous on you!